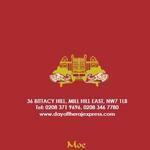 Do you work at Day of the Raj Express? 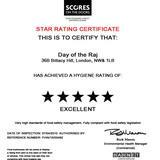 What did you think of Day of the Raj Express? Worse indian food ive had ,sooo disappointed there was no taste to the food ,no spice and the i feel the meat was very poor quality...will not be using them again...prefer to drive 15minutes to an indian take away i can trust....would not recommand. Eat there last night and was not impressed. The menu is too big and confusing. Still the enjoyment should be in the food and I have to say it was of poor quality. I ordered Bengal Fish Special, Bhindi, Daal, Sheek Kebab, Nan and rice. The fish was just ok a £12 dish. The Sheek Kebab was like eating soft rubber and the dish came served with huge chunks of onion. The Daal and Bhindi really nothing special. Not impressed, certainly won't be going back there in a hurry. It says on their website that they won the British curry awards in 2007 and 2008 clearly standards have slipped since then.